An exciting day today down at Abbey Park in Leicester, as our £1.2M footbridge project moves into the final stages. 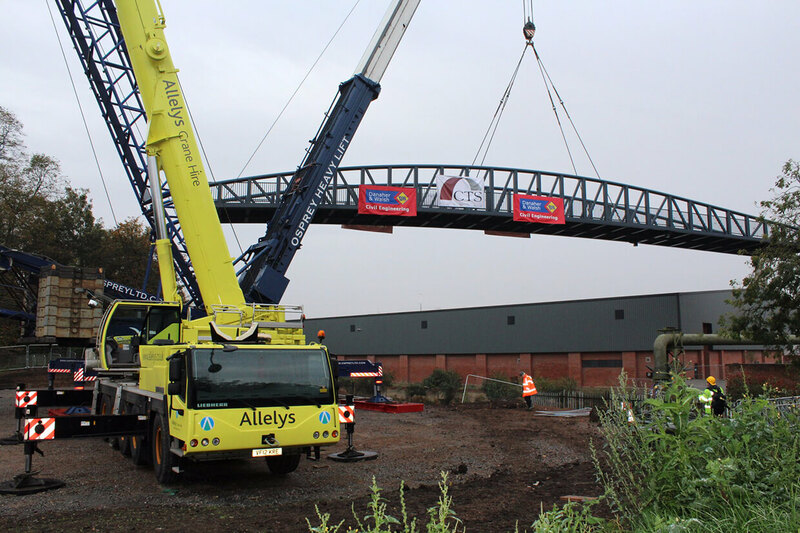 The new footbridge was successfully placed into position over the Grand Union Canal using a 1,000 tonne crane and was in place by 10am this morning. he new bridge provides a much needed cycle and pedestrian connection between Belgrave Road and Abbey Park.